We are currently presenting the extremeley popular RCS Raven Concealment Systems Glock Vanguard 2 VG2 Overhook IWB Tuckable Trigger Guard Holster - Wolf Grey at a slashed price. Don't pass it by - buy the RCS Raven Concealment Systems Glock Vanguard 2 VG2 Overhook IWB Tuckable Trigger Guard Holster - Wolf Grey here now! The VanGuard 2 is a minimalist IWB holster. Unlike typical IWB holsters, the VG2 covers just the trigger guard of your weapon. This one-of-a-kind layout removes the bulk of a conventional holster, while giving a degree of security and safety and security not achievable by merely sticking a pistol in the waist of your trousers. The VanGuard 2 can be utilized several methods: First, it can be utilized (without the lanyard or the strut and overhook setting up) as a trigger guard cover for storage space and transport security. This prevents foreign things from finding their way inside the trigger guard and possibly pushing the trigger, while still permitting the slide to be cycled and the publication launched. This offers customers the ability to remove the weapon without the risk of a negligent discharge. 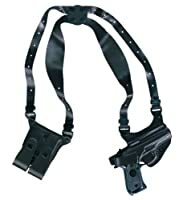 Next off, it can be utilized with the static-line tether for on-body (IWB) or off-body bring (such as inside a bag, handbag, briefcase, car console, etc). This permits the weapon to be safely lugged with a chambered round without fear of a negligent discharge, while still being rapidly deployable. 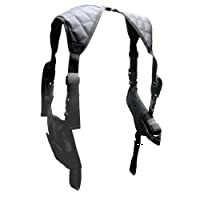 The holster can additionally be removed by capturing the nose of the holster and prying it off. 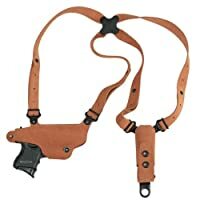 This permits one-hand implementation of the weapon even if the tether or accessory point falls short to eliminate the holster. Adjustable for ride-height and cant, is tuckable for maximum concealment, and fully ambidextrous. 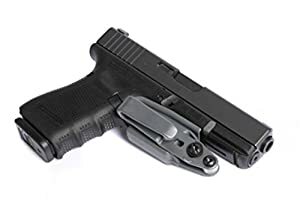 Includes: Trigger guard holster with 1.5" overhook Fits Glock Double Stack Gen3, RTF and Gen4 pistols chambered for 9mm, 40cal, 357SIG, 45GAP, 10mm and 45ACP. Fits - Glock 17 19 20 21 22 23 26 27 29 30 31 32 33 34 35 36 37 38 39 40 41 Does NOT fit the G42 or G43.